My current TBR pile plus my tools. I’m excited to start! 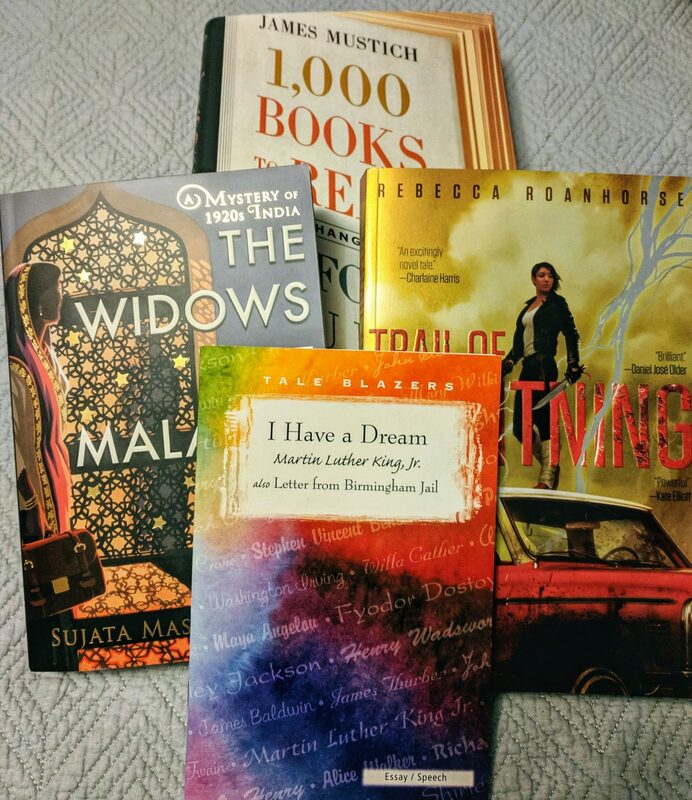 I ordered I Have A Dream/Also A Letter from Birmingham Jail by Martin Luther King, Jr, Trail of Lightning by Rebecca Roanhorse, 1,000 Books to Read Before You Die: A Life-Changing List by James Mustich, and last, but not least, The Widows of Malabar Hill: A Mystery of 1920s India by Sujata Massey and they arrived yesterday. Josie was very interested in helping me open the box, but I didn’t get a picture. Woe. But he does love the new box to sit in. 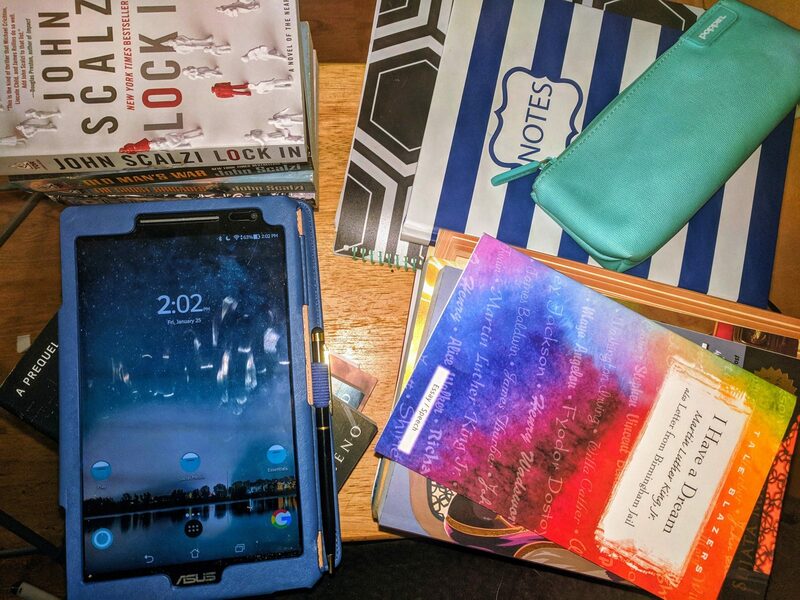 In the #TBR pile, not counting the new books, I have my e-reader, an Asus Z380M, and I use calibre to manage it, along with MoonReader + Pro, the Amazon Kindle app, and Google Play Books. 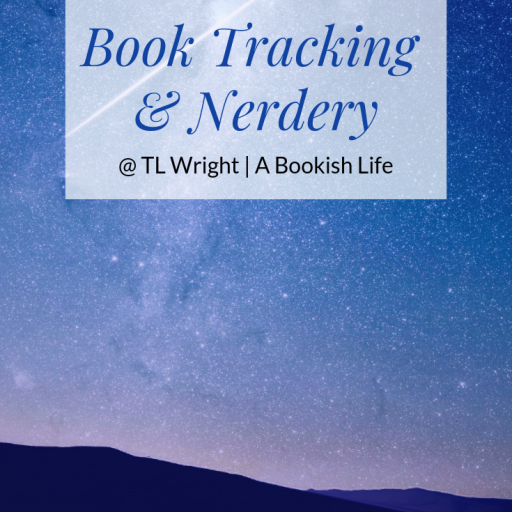 I put all of my ebooks in calibre and use MoonReader to read, but buy via the apps. Besides the tablet, I have Catalyst: A Rogue One Novel by James Luceno, Rogue One: A Star Wars Story by Alexander Freed, Star Wars: Guardians of the Whills by Greg Rucka, Rebel Rising by Beth Revis, Lock In by John Scalzi, Old Man’s War by John Scalzi, The Ghost Brigades by John Scalzi, and The Lost Colony by John Scalzi, and Dust by Elizabeth Bear. Rounding out the list is The Well-Educated Mind: A Guide to the Classical Education You’ve Never Had by Susan Wise Bauer. 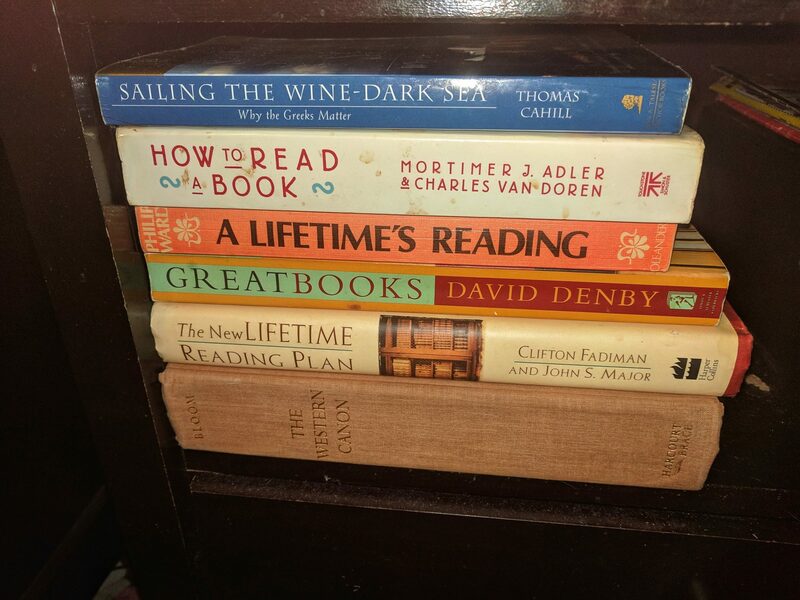 My nightstand’s not free from the pile of books, either. All but one are for dipping in and out as I try to get in the habit of not reading a screen just before bed. Insomnia’s really hard to fix. Books in the nightstand are: Sailing The Wine-Dark Sea: Why the Greeks Matter by Thomas Cahill, How To Read a Book: The Classic Guide to Intelligent Reading by Mortimer J. Adler and Charles Van Doren, A Lifetime’s Reading: Five Hundred Books to Read in a Lifetime by Phillip Ward, Great Books: My Adventures with Homer, Rosseau, Woolf, and Other Indestructible Writers of the Western World by David Denby, The New Lifetime Reading Plan: The Classic Guide to World Literature, Revised and Expanded by Clifton Fadiman and John S. Major, and The Western Canon: The Books and School of Ages by Harold Bloom. HTRAB is waiting for me to sit down and take notes on, and the rest are all dip in and out of for reading ideas. They are all very heavy on white male writers, but useful anyway. 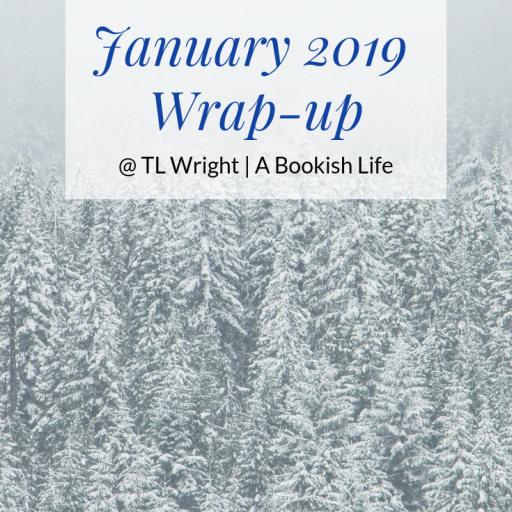 I’ll have a longer post on those books at a later point in the year. 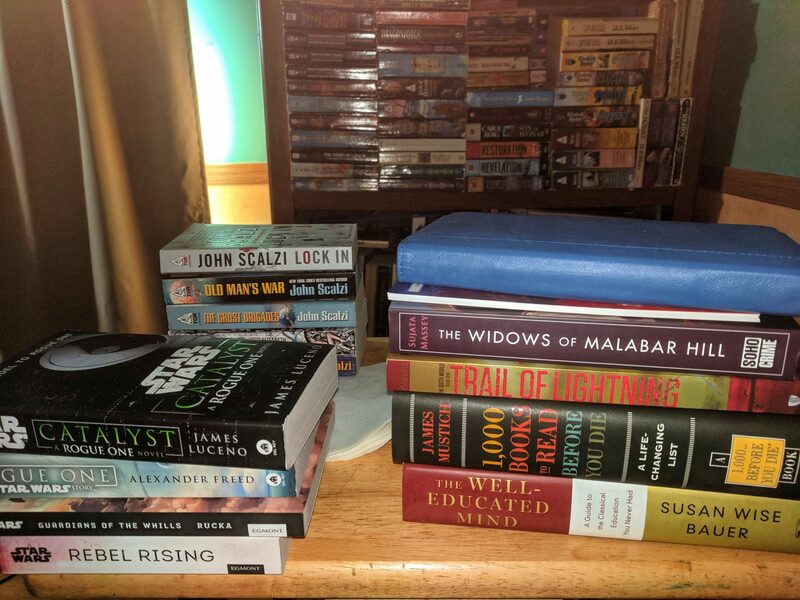 The Scalzi books and the Elizabeth bear book along with my nightstand books are re-reads and everything else linked is new to me. I’ve had the Star Wars books for over a year now, time to read. I’m dipping in and out of 1,000 Books and The Well-Educated Mind, the first for book ideas, the second to learn how to educate myself. I’ll be discussing that project at a later point as well. 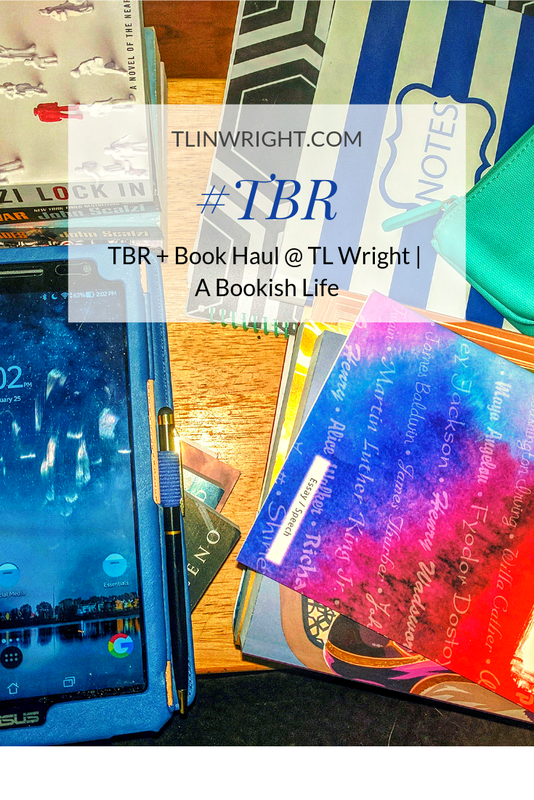 What’s in your TBR piles? And how do you like to manage them?